Cat Thursday – Look at that Tongue!! Snow White’s a goth and Prince Charming’s a jerk. On Neve’s eighteenth birthday, her stepmother kicks her out. A group of diner rats offer her refuge—including Brendan, who offers his couch for her to crash on. But the more time she spends with him, the more he confuses her. One second, he’s kissing her. The next he’s pushing her away. Believing her life has reached rock bottom, Neve struggles to ditch her “damaged girl” label. But when she uncovers the truth about her life, she’s rocked to her very foundation. Will Neve be able to hold on to the good things coming her way, or will her bad luck poison everything? 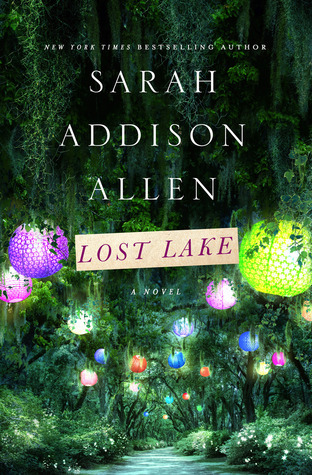 From beloved bestselling author Sarah Addison Allen comes her long-awaited new novel, Lost Lake, about heartbroken people finding hope at a magical place in Georgia. Suley, Georgia, is home to Lost Lake Cottages and not much else. Which is why it’s the perfect place for newly-widowed Kate and her eccentric eight-year-old daughter Devin to heal. Kate spent one memorable childhood summer at Lost Lake, had her first almost-kiss at Lost Lake, and met a boy named Wes at Lost Lake. It was a place for dreaming. But Kate doesn’t believe in dreams anymore, and her Aunt Eby, Lost Lake’s owner, wants to sell the place and move on. Lost Lake’s magic is gone. As Kate discovers that time has a way of standing still at Lost Lake can she bring the cottages—and her heart—back to life? Sometimes lost loves aren’t really lost. They’re right where you left them, waiting for you to find them again. Penelope Landlow has grown up with the knowledge that almost anything can be bought or sold—including body parts. She’s the daughter of one of the three crime families that control the black market for organ transplants. Penelope’s surrounded by all the suffocating privilege and protection her family can provide, but they can’t protect her from the autoimmune disorder that causes her to bruise so easily. And in her family’s line of work no one can be safe forever. All Penelope has ever wanted is freedom and independence. But when she’s caught in the crossfire as rival families scramble for prominence, she learns that her wishes come with casualties, that betrayal hurts worse than bruises, that love is a risk worth taking . . . and maybe she’s not as fragile as everyone thinks. Lost Lake is the one I missed. I would love me some Allen to read this week too! I have seen quite a few people reading The Walls around us I need to check it out. Megan Mc Dade recently posted…Sunday Post #12- US Virtual Road Trip This Summer! I had Lost Lake in my hand at the library the other day but didn’t end up getting it. It looks like such a great read so hope you enjoy it. Hold Me Like a Breath sounds interesting as well and Schmidt is a new to me author. Have a great week! Nice book haul. I see one ot two new ones I’ll be checking out! The books you won are totally new to me, but both of the synopsis has me curious Melissa. Enjoy all of your lovelies. kimbacaffeinate recently posted…Sunday Post #156- I’m Home!! 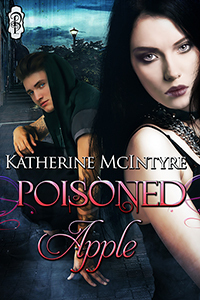 The Poisoned Apple looks like a great book:) Can’t wait to see your review for it! Lost Lake looks really good. I hope you have a great week! I’ve heard so many great things about Sarah Addison Allen. She’s isn’t an author I’ve had a chance to read yet, but she’s definitely one I’m looking forward to. Congrats on your wins! Very nice. And I’ve heard good things about Lost Lake. Looking forward to your review of Black Iris. Never heard of those books before, so I’ll be stalking your reviews ^^^ A goth Snow White is something to look forward to ! Red Iza recently posted…The sunday post #43 : What’s up ? Nice win! I hope all of your new books are winners! I’ll bet The Like Switch is a good book. Some great ARCs in the last picture there! Great haul this week. You can check out mine in the link below! Congratulations on your wins! Enjoy all your books! I also have Lost Lake is been on my shelf for a while, I should probably read it soon. You got some really good books, they sound really good. The last two especially. I hope you enjoy. Look at your beautiful new header and design! You must have just rolled it out. I love it! ENJOY all your books and your reading week.